This is a First Edition Tobin Fraley from 1987. This piece came with a musical rocking-horse base. The piece is about 8" to the top of the pole, and the horse rocks back and forth as the music box plays. The total run for this base configuration was 17,500. 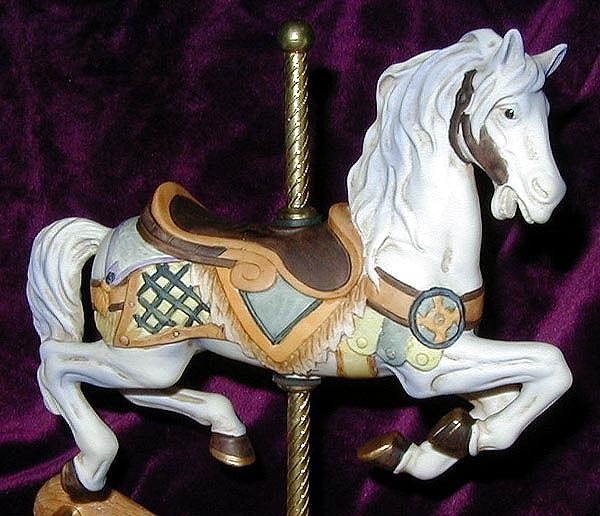 This horse also appears in a much smaller version on the First Edition Four-Horse Carousel. The average price of this piece when new was $50-$75.